Snuggled in the lap lush hills of Munnar is the Mattupetty Dam. 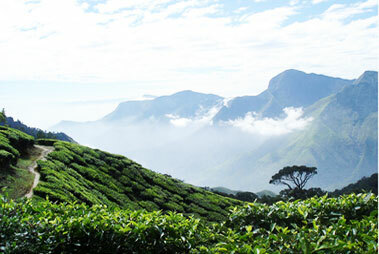 It is one of the unmissable tourist delights of Munnar. Located 13 km from Munnar, it is situated at a height of 1700 m, and is a pleasure for nature lovers. The dam of Mattupetty is a storage concrete gravity dam storing waters from confluence of the mountain streams of Muthirappuzha River, Chanduvarai River and Kundale River. Constructed under the Pallivasal Hydro-electric project in the late 1940s, for the purpose of water conservation and power generation, it is a popular picnic spot and a haven for many wild animals and birds. Tourists visiting Mattupetty Dam can have a wonderful time. The District Tourism Promotion Council (DTPC), Idukki provides boating facilities. Speed launch, slow speedboat and motorboats are available on hire. Mattupetty Dam offers many fascinating sights. The Anamudi peak and the lush plantations of the hill town offer awe-inspiring views. The Shola forests in and around Mattupetty are also ideal for trekking. Sight some local wildlife and a variety of birds. Mattupetty is also famous for cattle. A Swiss farm in the area house hundreds of varieties of high yielding cattle. You can pay the farm a visit.